Here’s another poetry contest to enter: the Vancouver Cherry Blossom Festival’s haiku invitational! Write a great haiku about the cherry blossoms, and top poems will be picked in five categories (youth, B.C., Canada, United States, and International). As usual, the poems appear on ads in our SkyTrains and buses, and will be published by Haiku Canada, Rice Paper, and on the VCBF website, and more! Deadline is Monday, May 31: visit the haiku contest page for more info. Enter the Poetry in Transit contest this May! Enter the One in a Billion contest, and win $1,000 and a year of transit passes! Farecard naming contest: last day to enter! Ride-Share Week: Enter the photo contest! I agee. It is not a haiku. A haiku requires a season word (kigo in Japanese), a two-part juxtapositional structure (equivalent to a kireji, or cutting word), and primarily objective sensory imagery. I’m the judge for the 2010 Haiku Invitational, and have also judged three previous years, and am also vice president of the Haiku Society of America. I assure you that the above poem is a haiku. The notion of 5-7-5 (which is probably why you think it’s not a haiku, because it does not follow that pattern) is a sort of urban myth — and very widespread, unfortunately. In Japan, they do not count syllables, but sounds. For example, we count the word “haiku” as two syllables, yet it counts as THREE sounds in Japanese (ha-i-ku). Consequently, a 17-syllable poem in English is a significantly longer poem than one written in the 17 sounds counted in Japanese. The discipline of objective sensory imagery, and including season words and a two-part structure (and the implied emotional effect that structure aims to produce), among other strategies, is far more difficult than the relatively trivial discipline of counting syllables. For a more in-depth overview of haiku necessities, please visit “Becoming a Haiku Poet” at http://sites.google.com/site/graceguts/essays/becoming-a-haiku-poet. Also visit http://www.vcbf.ca and click the various links under the Haiku menu. Haiku is a great deal more than 5-7-5, and the sample poem provided here is indeed a very good example. You would do yourself a favour to understand why. Ha–I hadn’t noticed! That’s rather funny actually. Perhaps it’s all about the feeling rather than the syllable count? The poem by Tish Davis is indeed a haiku, and quite a good one. It was selected by LeRoy Gorman, who is one of Canada’s finest haiku poets, with many decades of experience. He recognizes (as do I, as judge of the 2010, 2008, 2007, and 2006 VCBF Haiku Invitationals) that traditional haiku requires a season word (kigo in Japanese), and two-part juxtapositional structure (equivalent to a kireji), and primarily objective sensory imagery – among other strategies. Objections to this poem seeming not to be haiku are probably because it’s not 5-7-5. However, the 5-7-5 form is a sort of urban myth about haiku in English. Remember that the word “haiku” itself counts as two syllables in English but THREE sounds in Japanese — and that they count sounds, not syllables, in Japanese haiku. For more information about these issues, which promote literary haiku, as opposed to superficial misunderstandings of haiku, please click the Haiku menu links on the http://www.vcbf.ca site. Also see “Becoming a Haiku Poet” at http://sites.google.com/site/graceguts/essays/becoming-a-haiku-poet. And also check out the haiku wiki page at http://en.wikipedia.org/wiki/Haiku, which explains these issues further. I’d be happy to answer further questions if you’d like to contact me (WelchM@aol.com). I’m vice president of the Haiku Society of America, cofounder of the American Haiku Archives at the California State Library in Sacramento (1996), cofounder of the Haiku North America conference (1991), editor/publisher of Press Here haiku and tanka books (1989) and of the Woodnotes haiku journal (1989-1997) and Tundra: The Journal of the Short Poem (1999-). Sorry for the double post here. The first one didn’t appear for me, so I wasn’t aware that it had posted. 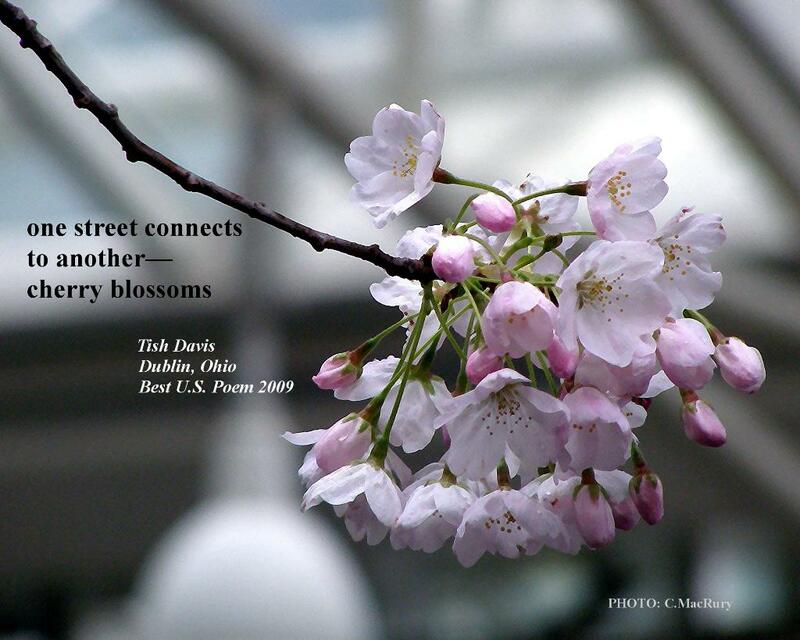 Hopefully both posts are helpful in explaining why Tish Davis’s poem is indeed a haiku. Although the 2010 Haiku Invitational deadline has just passed (May 31), it is indeed an invitation to everyone to submit, and seeks to promote a literary understanding of haiku, as opposed to the misunderstanding of haiku merely as a 5-7-5 form. Please do check out the links I provided!